Hornblower Niagara Cruises boat ride. 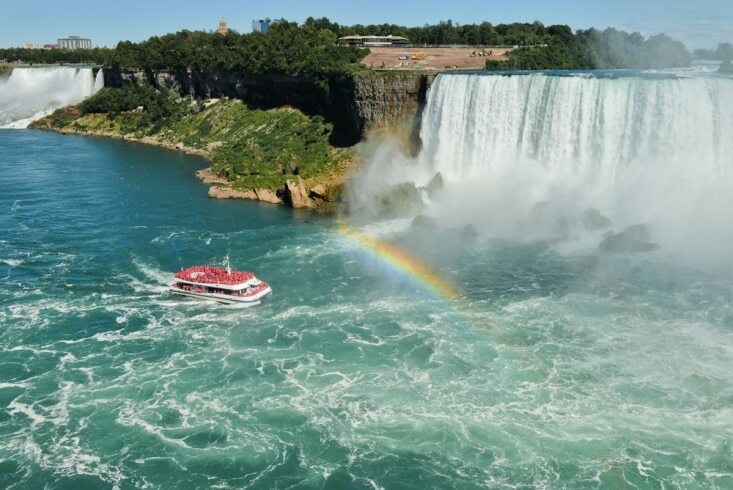 Hornblower Niagara Cruises is one of Niagara’s most iconic attractions, offering boat rides to the base of the American and Bridal Veil Falls, and into the basin of the Canadian Horseshoe Falls. You’ll get as close as possible to the amazing waterfalls and experience their thundering roar and awe-inspiring power. Choose between the Voyage to the Falls Boat Tour, Voyage to the Falls Evening Boat Tour, Falls Illumination Cruise, and Falls Fireworks Cruise and get ready to experience the sights and sounds of one of the world’s most beautiful natural wonders. One of Niagara’s newest attractions – WildPlay Zipline to the Falls – is reopening this spring, offering riders the chance to soar on zip lines facing the American and Canadian Horseshoe Falls, and dangle from a 67-metre high vantage point. The fully-guided experience also lets riders speed along the edge of the Niagara River Gorge and end at a beautiful Falls observation landing. Take in incredible sight of the Niagara River’s Class 6 white-water rapids on the self-guided White Water Walk. This unique attraction features an impressive Riverside Boardwalk that runs along the river’s shoreline and allows you to take in the sight of powerful rapids, crashing waves, and 410 million-year-old rock layers in the Niagara Gorge from viewing platforms. Suspended by six sturdy cables over the Niagara River and Whirlpool, the Whirlpool Aerocar is an antique cable car attraction that takes riders over the Class 6 white-water rapids of the Niagara River to two points on the Canadian shore. Designed by renowned Spanish engineer, Leonardo Torres Quevedo, the Whirlpool Aero Car has been operating since 1916 and offers a thrilling ride over the Niagara River that you can’t get anywhere else. 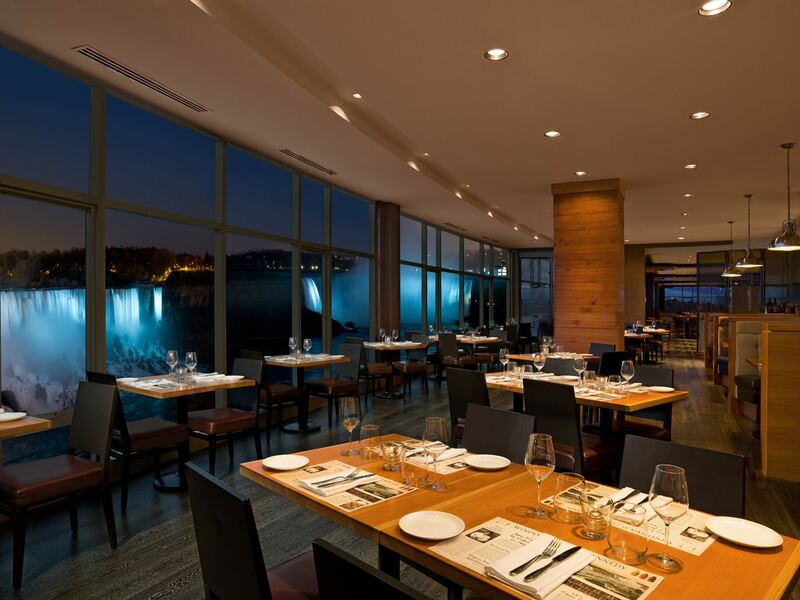 Massimo’s Italian Fallsview Restaurant – Offers a modern and refreshing take on authentic Italian cuisine and sweeping views of Niagara Falls. 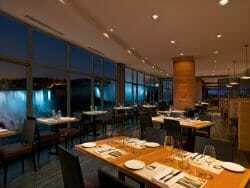 Prime Steakhouse – A contemporary steakhouse dining experience with classic Fallsview flair. Stay tuned for opening dates! 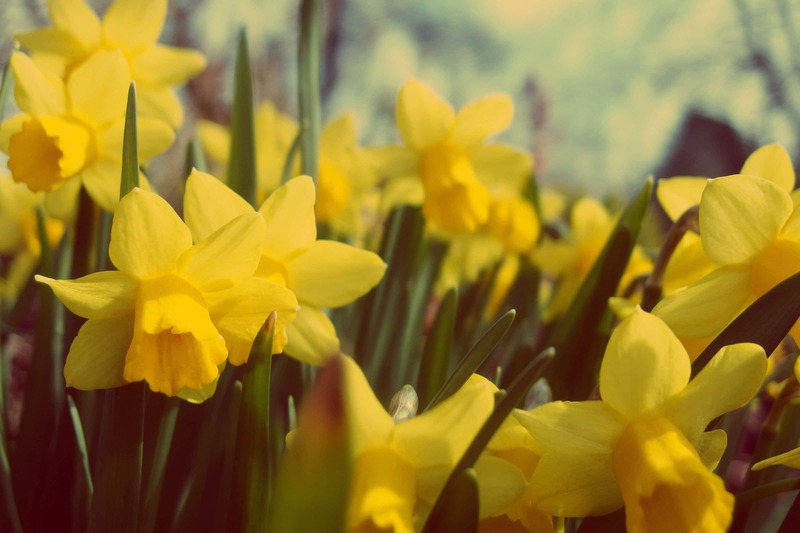 Experience the very best of spring and Easter in Niagara Falls by checking out any of these exciting events and destinations all season long. The Canadian Horseshoe Falls in spring. And in celebration of Easter Sunday, the iconic Skylon Tower in Niagara Falls will be illuminated in yellow lights. This illumination will add a bit of spring cheer to the Niagara Falls skyline and will coincide with the nightly illumination of the Canadian Horseshoe, American, and Bridal Veil Falls from 8pm-1am. 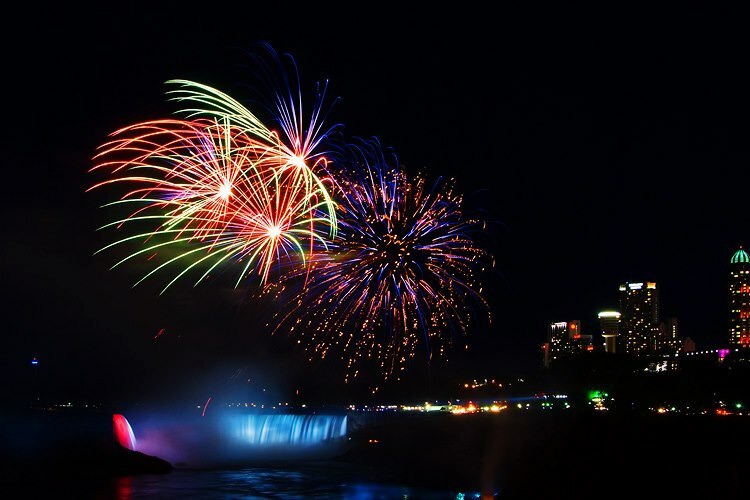 Take in the sight of the fireworks and illumination from the brink of the Falls at Table Rock Welcome Centre, in beautiful Queen Victoria Park located just across the street, or from a Fallsview guestroom at one of Niagara’s top hotels. If you’re celebrating the Easter long weekend in Niagara Falls and looking for a special activity which children will love then stop by Fireman’s Park on Dorchester Road in Niagara Falls for their annual Easter Egg Hunt. Beginning at 11am, this fun and exciting Easter event will include a hunt for 500 pounds of chocolate eggs, a meet & greet with the Easter Bunny, bouncy castle, face painting, free Starbucks coffee, and more. Daffodils in Niagara’s Queen Victoria Park. Have an amazing Easter dinner in direct view of Niagara Falls at one of the city’s best Fallsview restaurants including Fallsview Buffet and Massimo’s Italian Fallsview Restaurant, both located inside the Sheraton on the Falls hotel. 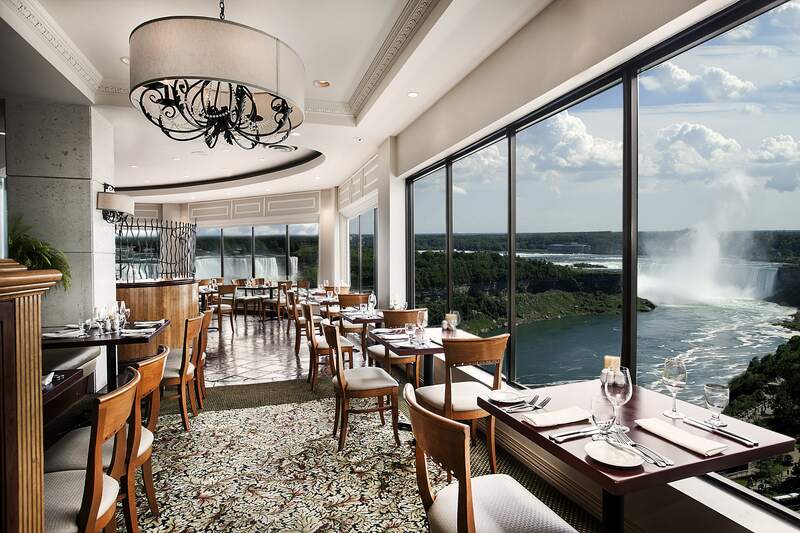 Fallsview Buffet features live-action cooking stations and sweeping views of Niagara Falls from floor-to-ceiling windows, while Massimo’s Italian Fallsview Restaurant offers a modern and refreshing take on authentic Italian cuisine and amazing views of the Falls. The Shaw Festival Theatre’s 2018 Season begins on April 4th, featuring a lineup of incredible plays like The Magician’s Nephew, The Hound of Baskervilles, Grand Hotel, Mythos: A Trilogy – Gods. Heroes. Men., Of Marriage and Men, and more. Located in Niagara-on-the-Lake, The Shaw offers world-class theatre in the heart of Niagara’s wine country and is a must-visit destination while in Niagara this spring. Queen Victoria Park, located directly across the street from the Horseshoe Falls, comes alive in spring when over 500,000 daffodils come into bloom. It’s a beautiful sight to see and is complimented by expansive grass areas perfect for picnicking, magnificent magnolia trees, tulips, carpet bedding displays and more. And just down the road is the Floral Showhouse which is currently hosting its annual Spring Show featuring tropical plants, orchids, succulents, primula, calceolaria, cineraria, and more. Celebrate St. Patrick’s Day and all things Irish in Niagara Falls with a number of exciting events happening throughout the city this March 17th. 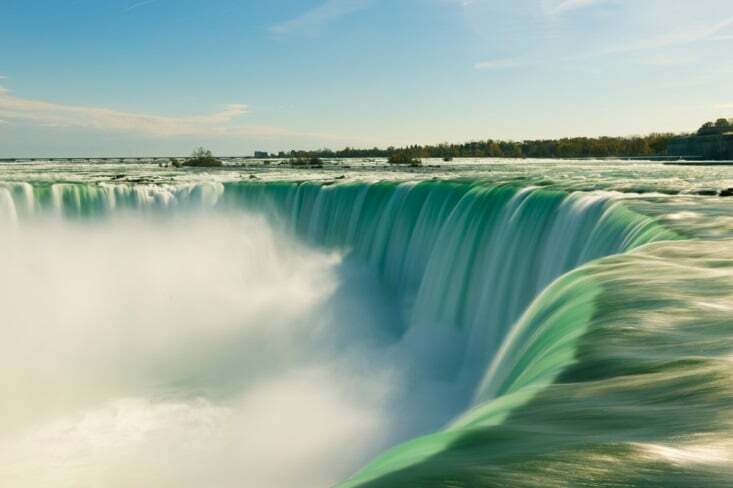 Niagara Falls will be illuminated in green lights this Saturday March 17th in celebration of St. Patrick’s Day and in partnership with Tourism Ireland’s “Global Greening” campaign. The Canadian Horseshoe, American, and Bridal Veil Falls will be lit up in vibrant green lights from 9pm-1am in 15 minute intervals, along with many other iconic landmarks around the world including the Colosseum in Rome, Leaning Tower of Pisa, Empire State Building, and Sydney Opera House. 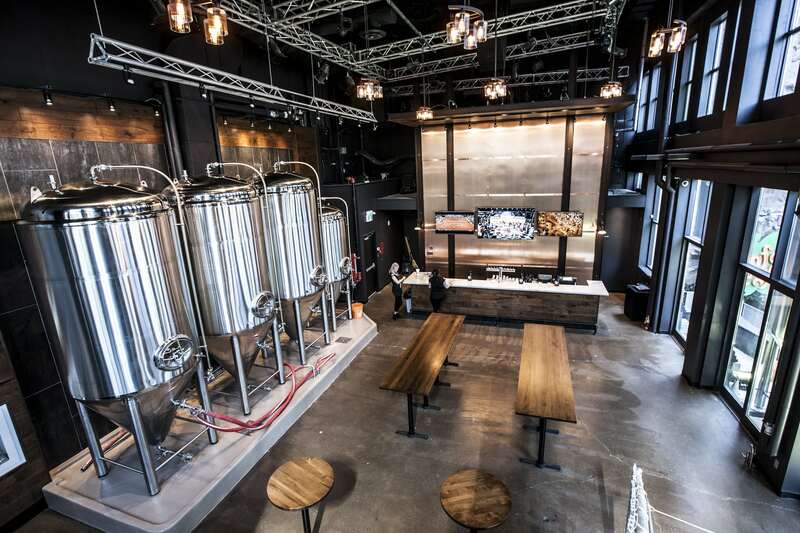 Grab all the green gear you can find and head to Niagara Brewing Company on March 17th for a St. Patrick’s Day celebration featuring great beer, live music, and traditional Irish stew. The live music starts at noon and will carry on all night long, featuring a performance from the Danny Boys! And you can take it all in while enjoying delicious draught beer and Irish Stew made with chunks of seared beef and vegetables stewed in a Hennepin Stout broth and served on top of garlic leek mashed potatoes. Celebrate St. Patrick’s Day in Niagara Falls at Niagara Brewing Company. From March 15th-18th Doc Magilligan’s Irish Pub on Lundy’s Lane will be having an ongoing St. Patrick’s Day celebration featuring a full Irish menu, live music, traditional Irish dancers, and more. The four day celebration includes a St. Patrick’s Day Kick Off Party on Thursday March 15th, St. Practice Day on Friday March 16th, St. Patrick’s Day on Saturday March 17th, and Irish Family Day on Sunday March 18th. Grab your green gear and get ready to celebrate! Fireworks over the Canadian Horseshoe Falls. This year marks the 25th anniversary of the Falls Fireworks Series in Niagara Falls, and in celebration of this milestone Niagara Parks will be expanding their summer Niagara Falls fireworks schedule to include 111 shows happening all throughout the summer. 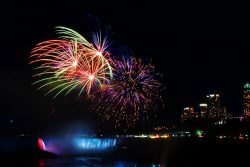 Some of the best places from which to enjoy the Niagara Falls fireworks include the brink of the Horseshoe Falls, Table Rock Welcome Centre, the Niagara Parkway, Queen Victoria Park, and a Fallsview guestroom at one of Niagara’s top hotels. You can also enjoy a Niagara Parks signature experience at Night Lights – an event that focuses on the interplay between lights at the iconic Journey Behind the Falls attraction. 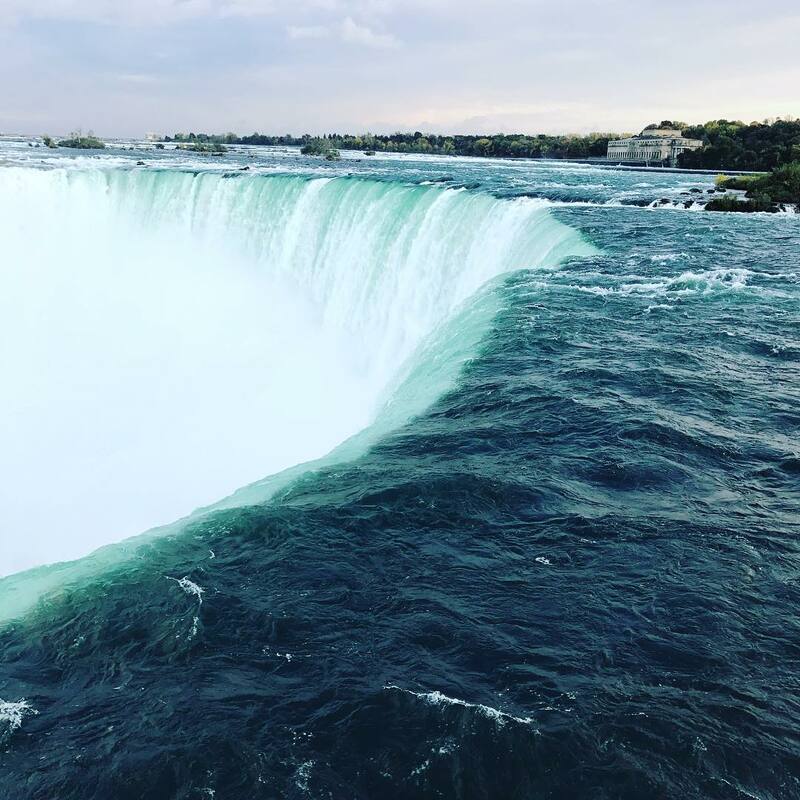 It gives you exclusive access to the base of the beautiful Canadian Horseshoe Falls underneath the stars, and connects you with the radiance of the Falls illumination and thrill of the fireworks. Experience Canada’s longest-running fireworks series this summer and get ready to discover the beauty and wonder of Niagara Falls at night! 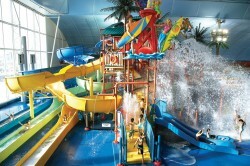 A Family Suite at Skyline Hotel & Waterpark in Niagara Falls. 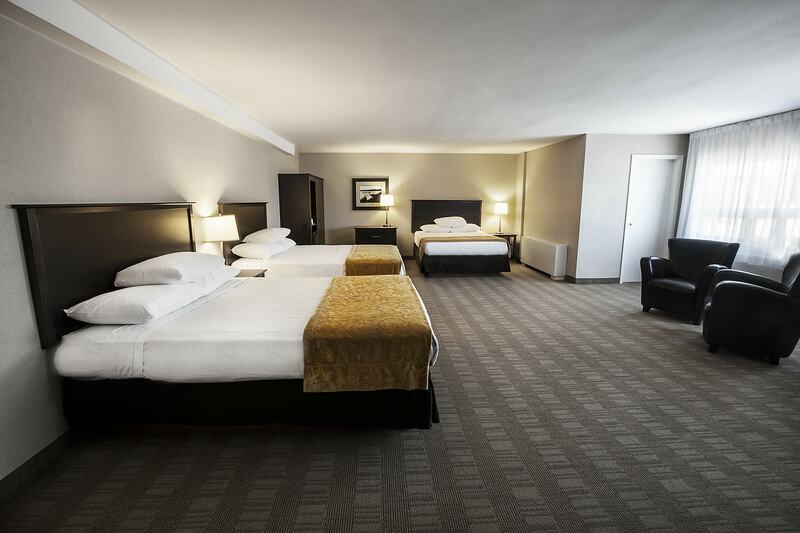 Choose between amazing hotel accommodations at one of our four Niagara Falls hotels, including Clifton Victoria Inn, Skyline Hotel & Waterpark, Sheraton on the Falls, and Crowne Plaza Niagara Falls-Fallsview. Each hotel is located just a short walk away from the beautiful Horseshoe and American Falls, and offers luxurious accommodations that the whole family will love. You and your family will get discounts on some of the best dining in Niagara Falls with Kids Eat Free dining at Fallsview Buffet, The Rainbow Room by Massimo Capra or Perkins Family Restaurant. 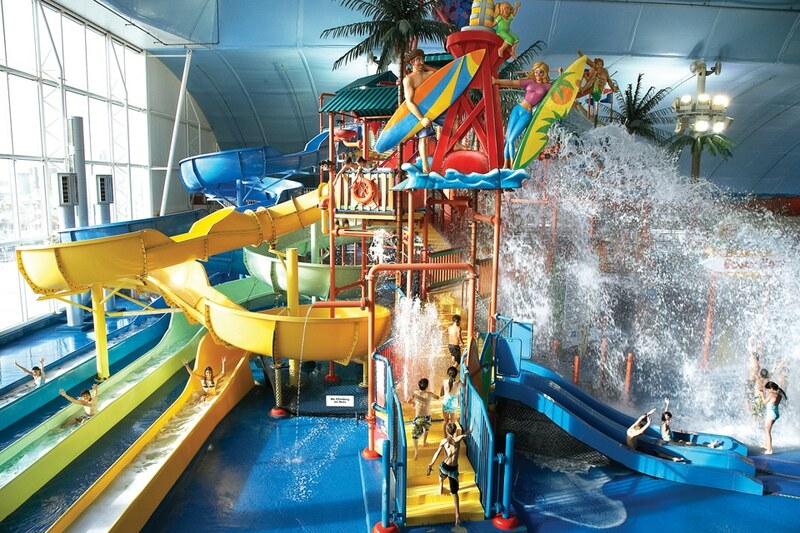 Enjoy some of the best family-friendly attractions in Niagara Falls with four passes to Fallsview Indoor Waterpark, home to 16 thrilling waterslides, a 1,000-gallon tipping bucket, full-size wave pool, year-round outdoor activity pool and sundeck, adult-only Jacuzzis, and much more. And for even more thrills and fun the Spring Break Package also includes four tickets to Adventure City Bumper Cars, Adventure Heroes Laser Ride, and glow-in-the-dark mini putt, as well as free child admission to 4D Extreme Motion Ride. And for stays between March 10th and 17th, Spring Break Packages will include a bonus four magic show tickets. International award-winning magician Mike D’Urzo will be performing evening shows at the Crowne Plaza Niagara Falls-Fallsview, and his master illusions are something you definitely won’t want to miss out on. 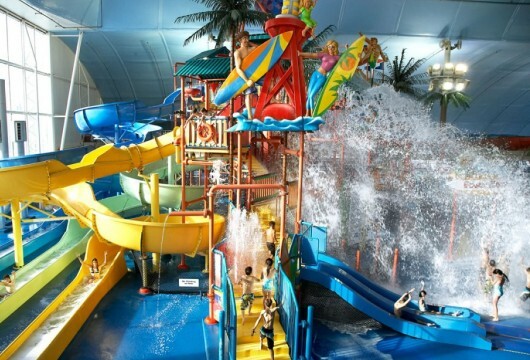 Book your Spring Break Package today and get ready for a fun-filled Spring Break in Niagara Falls that the whole family will love! Windows by Jamie Kennedy fresh Grill & Wine Bar’s Fallsview dining room. Make your Valentine’s Day in Niagara Falls into a romantic and unforgettable affair with a Fallsview dining experience at one of the city’s best restaurants. From farm-to-table fine dining at Windows by Jamie Kennedy Fresh Grill & Wine Bar to live-action cooking stations at Fallsview Buffet, there’s a dining experience for everyone to love in beautiful Niagara Falls. Windows by Jamie Kennedy Fresh Grill & Wine Bar, located inside the Sheraton on the Falls hotel, is Niagara’s finest farm-to-table restaurant, offering special menu items tailored to the season, an extensive wine list of local and international wines, and breathtaking views of Niagara Falls. With a romantic atmosphere and spectacular backdrop, it’s the perfect dining destination for an unforgettable Valentine’s Day in Niagara Falls. With live-action cooking stations and unbeatable views of Niagara Falls, the Fallsview Buffet restaurant inside the Sheraton on the Falls hotel is a great place to dine with your significant other this Valentine’s Day. This unique Fallsview restaurant offers a wide selection of fresh and delicious food, decadent desserts, attentive staff, and a relaxing atmosphere for exceptional dining in direct view of the magnificent Niagara Falls. 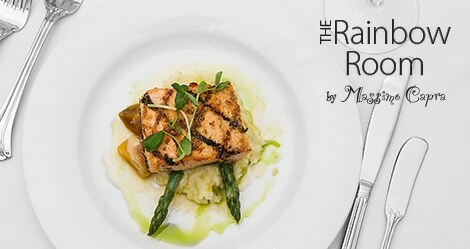 Enjoy a Valentine’s Day meal at the Rainbow Room by Massimo Capra. The Rainbow Room by Massimo Capra, located inside the Crowne Plaza Niagara Falls-Fallsview hotel, is a top Niagara Falls dining destination, offering modern and innovative Italian cuisine, one of the most extensive wine lists in the city, and sweeping views of Niagara Falls from floor-to-ceiling windows. The Rainbow Room is offering a special prix fixe Valentine’s Tasting Menu for a limited time, featuring choices like Smoked Panchetta Wrapped Shrimp, Truffle Mac & Cheese, Slow Braised Ontario Lamb Shank, and Peach Glazed Angus Short Rib. And you’ll love the dessert Grand Finale of Passionfruit Tartelette, Salted Caramel Brownie, Macaroons, Mini Cheesecake, Truffles, and Chocolate Dipped Strawberries. Make sure to book your reservation today as seating is limited. Love is in the air at Milestones on the Falls, located inside the Marriott on the Falls hotel, with their Valentine’s Day prix fixe dinner menu available from February 10th-18th. This special menu allows you to pick an app, entrée, dessert, and glass of house wine and features amazing choices like Portobello Mushroom Chicken, Slow Roasted Prime Rib, Ginger Glazed Salmon, and White Chocolate Cheesecake for a remarkable Valentine’s Day in Niagara Falls. 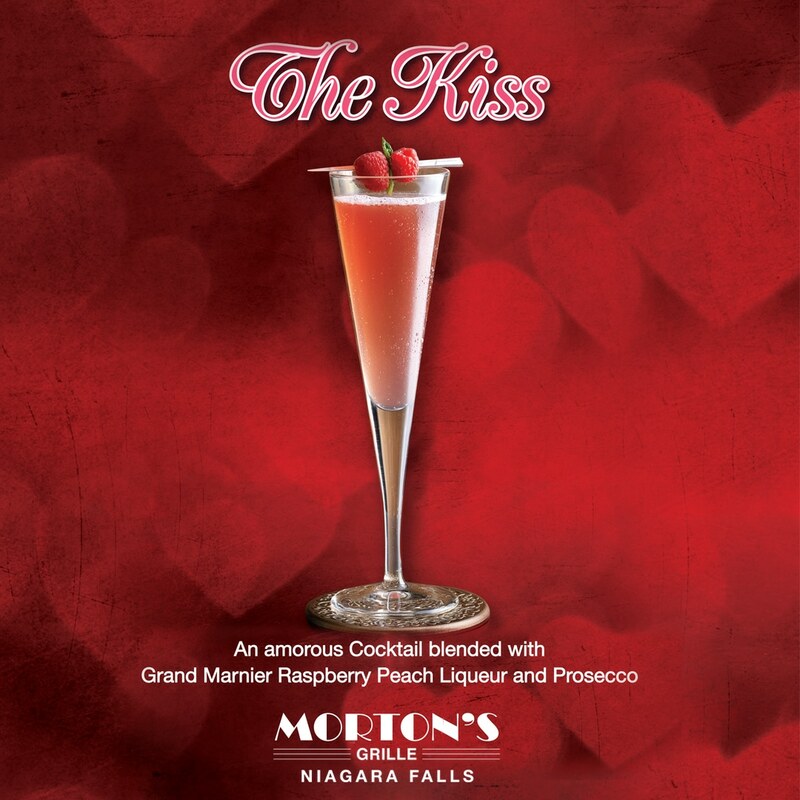 The Kiss cocktail available at Morton’s Grille Niagara Falls. Morton’s Grille is one of Niagara’s newest steakhouse experiences and the first restaurant of its kind in Canada. 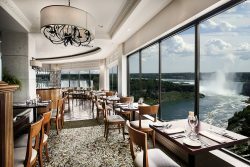 Located inside the Marriott Fallsview Hotel & Spa, it offers a casual yet elegant atmosphere and stunning views of Niagara Falls. 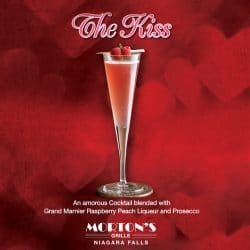 Available from February 9th-18th, Morton’s Grille Niagara Falls will be offering a special prix fixe Valentine’s Day dining experience, which begins with a “Kiss”- a signature cocktail blended with Grand Marnier, Raspberry Peach Liqueur, and Prosecco- and features 3 courses of delicious dining choices like Jumbo Lump Crabcake, Grilled Salmon Fillet, Filet Mignon, Cajun Pork Chop, White Chocolate Pecan Bread Pudding, and NY Cheesecake. Spend Valentine’s Day in Niagara Falls and experience the very best dining that this world-class destination has to offer. Have a romantic Valentine’s Day in Niagara Falls with Fallsview accommodations. Niagara Falls is a romantic destination for couples, offering beautiful sights, incredible dining, luxurious accommodations, and a world-renowned wine region. And Valentine’s Day is the perfect time to experience the best of the city with hotel packages and a number of special events happening all throughout the region. The Sheraton on the Falls and Crowne Plaza Niagara Falls-Fallsview hotels are both offering fantastic Ultimate Couples Experience Packages that make planning a romantic getaway to Niagara Falls incredibly easy by bundling together amazing accommodation, dining, winery, and spa experiences for you and your loved one to enjoy this Valentine’s Day. Both packages include one night hotel accommodations at the Sheraton on the Falls or Crowne Plaza Fallsview, three Fallsview dining gift cards, two winery tasting passes, spa credit at Christienne Fallsview Spa, and two cocktails. Make your visit to Niagara Falls into a relaxing retreat with the Ultimate Spa Experience Package at the Sheraton on the Falls or Crowne Plaza Niagara Falls-Fallsview. Each package includes one night hotel accommodations, a 55-minute Relaxation Couples Massage at Christienne Fallsview Spa, private use of their Hydrotherapy Infinity Tub, decadent chocolate truffles, sparkling water infused with a Cherry Lane elixir, three Fallsview dining gift cards, two cocktails, and two winery tasting passes at Inniskillin and Jackson-Triggs wineries. Fallsview dining at the Rainbow Room by Massimo Capra. Experience a romantic dinner overlooking the magnificent Niagara Falls at Windows by Jamie Kennedy Fresh Grill & Wine Bar, The Rainbow Room by Massimo Capra, and Fallsview Buffet Restaurant. Windows by Jamie Kennedy is a wonderful farm-to-table restaurant that offers a seasonal menu featuring Niagara-inspired dishes, while the Rainbow Room by Massimo Capra offers modern and innovative Italian cuisine. And Fallsview Buffet restaurant features live-action cooking stations for a one-of-a-kind dining experience in direct view of Niagara Falls. Take a romantic stroll along the Niagara Parkway and take in the beauty of the American, Bridal Veil, and Horseshoe Falls illuminated in pink and red lights for Valentine’s Day. The iconic Skylon Tower will also be illuminated on February 14th and if you’ll be in the city on the weekend make sure to check out the spectacular fireworks show over the Horseshoe Falls on Friday night at 9pm. Start planning your romantic Valentine’s Day in Niagara Falls today and get ready to be amazed! The Canadian Horseshoe Falls in Niagara Falls, Ontario. For unforgettable travel experiences in and around Niagara Falls, embark on a thoughtfully crafted signature tour with Magnificent Tours and discover all of the natural beauty, exceptional entertainment, and premium wineries that the region has to offer. The Winter’s Best Tour is perfect for people who only have a few hours to spare in Niagara Falls and want to experience the best sights and attractions that the city has to offer. This 3 hour tour is fully guided, features full transportation by comfortable coach bus, and gives you VIP access to three of Niagara’s top attractions, so you won’t have to wait in long lines. 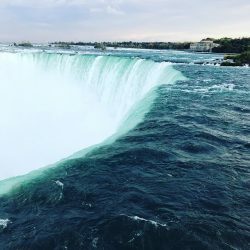 The tour includes stops at Journey Behind the Falls, Floral Showhouse, and the Niagara Falls Aviary, along with bonus passes to the Niagara SkyWheel and Imax Theatre Niagara Falls to enjoy at your own leisure. Discover the wonder of Niagara’s world-famous wine country on a special Icewine Festival Tour this January. The tour is a 6 hour journey through Niagara-on-the-Lake, featuring stops at Wayne Gretzky Estates Winery, Trius Winery at Hillebrand, Konzelmann Estate Winery, Peller Estates Winery, Reif Estates Winery, and Inniskillin Estate Winery where you will sip and savour premium Niagara Icewine and take in the beauty of picturesque vineyards. The Icewine Festival Tour is taking place on select dates in January, is fully guided and also features full transportation by coach bus. Experience premium wines and decadent chocolate creations on a Days of Wine & Chocolate Tour. Experience the perfect pairing of wine and chocolate on a Days of Wine and Chocolate Tour on select days in February. 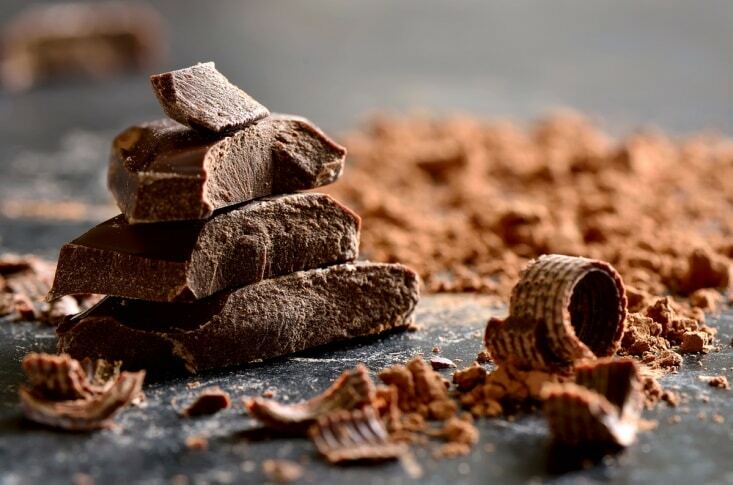 This 6 hour tour will bring you to seven amazing wineries in Niagara-on-the-Lake where you will indulge in premium VQA wines paired with decadent chocolate-infused creations like spiced chili brownies, Ghirardelli dark chocolate rye cookies, cocoa and spice dusted pork, and more. The Days of Wine and Chocolate tour is a one-of-a-kind experience and is fully guided and includes full transportation by coach bus. The Niagara Wine Tour is a signature Magnificent Tours experience that features wine tastings at three of Niagara-on-the-Lake’s top wineries, including Inniskillin Winery, Konzelmann Estate Winery, and Reif Estate Winery. It also features shopping time in Niagara-on-the-Lake’s historic downtown district, an expert tour guide, and full transportation by coach bus. 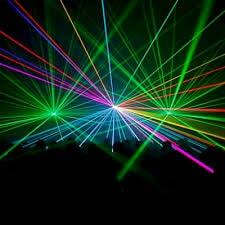 The Winter Festival of Lights’ laser light show. This month is your last chance to experience Niagara’s annual Winter Festival of Lights, featuring an 8km illumination route of dazzling displays and sparkling trees. The festival also features laser light and fireworks shows, and is a must-do winter event from now until January 31st. This year’s Winter Festival of Lights features three-dimensional Canadian wildlife displays, the world’s largest Canadian-American flag, the illumination of the iconic Skylon Tower and Toronto Power Generating Station, a three-dimensional Projection Mapping Show, and more. The Horseshoe, American, and Bridal Veil Falls are also illuminated in beautiful lights every night and spectacular fireworks are launched into the sky over the Falls every Friday night at 9pm. There is no admission fee to view the Winter Festival of Lights’ stunning illuminations and it’s a great activity for people of all ages to enjoy. The cold temperatures and snowy weather that Niagara Falls experienced in the last few weeks has transformed the area into a winter wonderland and there’s no better time to experience its breathtaking beauty than this January. And make sure to check out the other great events happening this month in Niagara like the Niagara Icewine Festival, Niagara-on-the-Lake’s Icewine Village, Country Superstars at Oh Canada Eh? Dinner Theatre, Winter Wonderland Food Tour, and more. Grab your coats and mittens and head to Niagara Falls for a wonderful winter adventure unlike anything you’ve ever experienced. Discover the very best of Niagara this winter with any one of these amazing Niagara Falls getaway packages. New Year’s Eve in Niagara Falls, Ontario. The Sheraton on the Falls and Crowne Plaza Niagara Falls-Fallsview are both offering fantastic Niagara Falls New Year`s Eve packages that will give you access to the very best hotel, dining, and entertainment experiences in the city and put you in the centre of the New Year celebration. Packages include luxurious accommodations at the Sheraton on the Falls or Crowne Plaza, your choice of early or late dinner seatings at the Rainbow Room by Massimo Capra or Fallsview Buffet, and the chance to experience a stunning fireworks show over Niagara Falls with champagne at midnight. Ring in 2018 in spectacular fashion and book your package today. Retreat to Niagara Falls for a relaxing winter getaway with the Ultimate Spa Experience Package at the Sheraton on the Falls. This package is designed to connect you with the best spa, hotel, and dining experiences in the city and leave you feeling rejuvenated. It includes one night hotel accommodations at the world-class Sheraton on the Falls hotel, a 55 minute Relaxation Couples Massage, 20 minutes private use of the Fallsview Hydrotherapy Infinity Tub, sparkling water infused with a Cherry Lane elixir, chocolate truffles, three Fallsview dining gift cards, two cocktails, and two winery tasting passes at Inniskillin and Jackson-Triggs wineries. Treat your significant other to a romantic Niagara Falls getaway with the Ultimate Couples Experience Package at the Crowne Plaza Niagara Falls-Fallsview. This package includes one night accommodation at the historic Crowne Plaza, three Fallsview dining gift cards to the Rainbow Room by Massimo Capra, Windows by Jamie Kennedy and Fallsview Buffet, two winery tasting passes at Trius, Inniskillin and Jackson-Triggs wineries, a spa credit for the Christienne Fallsview Spa, and two cocktails at the Hard Rock Café or Niagara Vines. Experience an unforgettable family getaway with Holiday Waterpark Packages at the Skyline Hotel & Waterpark and Clifton Victoria Inn. These limited-time packages include something for everyone to enjoy with one night hotel accommodations, up to four Fallsview Indoor Waterpark passes, Kids Eat Free dining at Fallsview Buffet, Rainbow Room by Massimo Capra and Perkins Family Restaurant, four passes to Adventure Heroes Laser Ride, Wild Safari Mini Putt and Traffic Slam Bumper Cars, a free custom family photo, and magic show tickets on select dates. Embark on a one-of-a-kind culinary experience in 2018 with a Niagara Culinary Experience Package. Choose from An Icewine Dinner with Jamie Kennedy on January 19th, 2018 featuring a seasonal five course meal and wine pairings from Jackson-Triggs Winery, A Culinary Tour of Tuscany with Massimo Capra on March 23rd, 2018 featuring delicious Tuscan-inspired cuisine and wine pairings from Antinori Winery, and A Culinary Tour of Veneto with Massimo Capra on May 11th, 2018. Both Dinner Only and Dinner & Hotel Room packages are available for each event, offering the chance to experience a spectacular Fallsview meal and a world-class hotel stay at the Crowne Plaza Niagara Falls-Fallsview or Sheraton on the Falls hotel.